It’s official now because the invitations have all gone out! This is going to be so much fun! I say it all the time, if you are creating an event every detail matters and making sure the invitations set the mood for the event is one of the most important. It is critical to make sure that the invitations have all the required details – place, time, date, expected attire – and they must also give people a hint of what they are to expect. 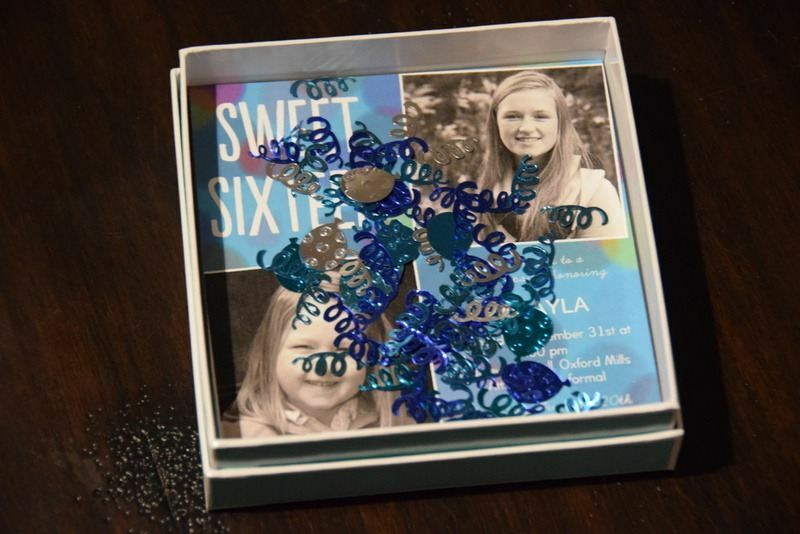 For Mekayla’s Sweet 16 we found some gorgeous invitations on-line (on Pinterest of course) and tried to contact the seller of them however we never heard back after letting them know what we wanted. Luckily we were able to recreate the majority of the idea ourselves but the one feature we were most excited about we couldn’t make happen, the details of the party were supposed to be on the balloon. Oh well, what we created is still amazing and so far all of the guests are freaking out about them. 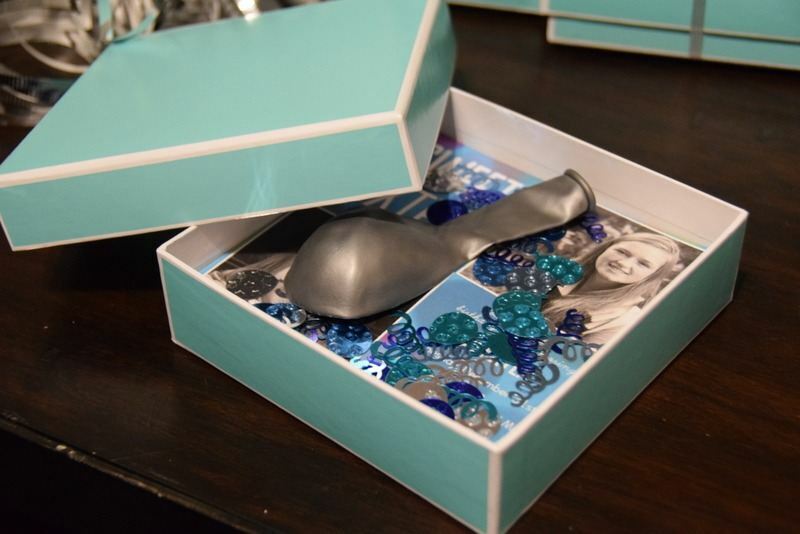 The colours for the party are silver, white and tiffany blue. 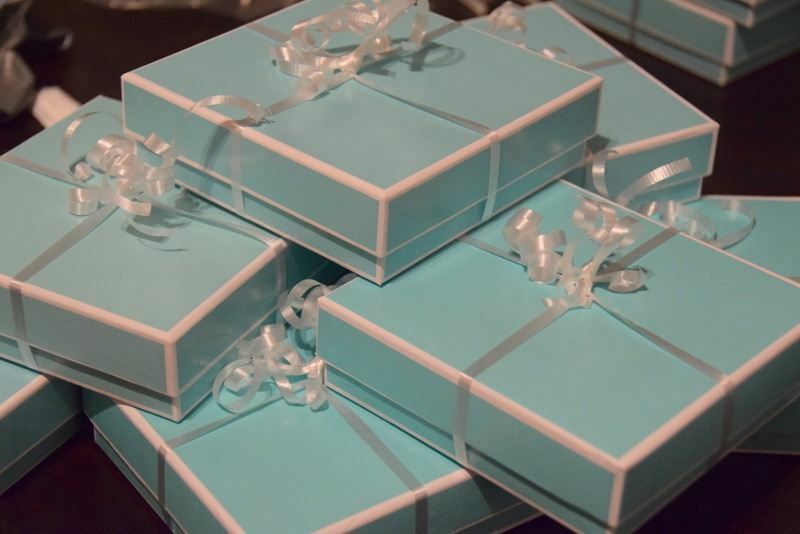 One of our favourite suppliers had the perfect tiffany blue box which has all of our guests thinking we’re giving them a special gift. 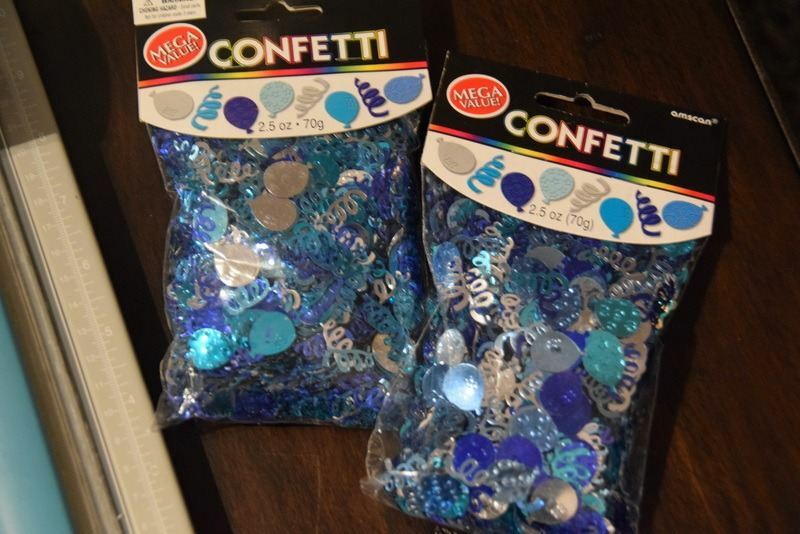 We ordered the invitations from Shutterfly and added some matching confetti and a silver balloon. The invitations didn’t fit as perfectly as I had hoped so we had to trim them down. Everything else worked just as perfectly as I had envisioned. The birthday girl and I sat down and put them together in an assembly line style. Took us no time at all. The tricky part to it was making sure we kept the right invitations in the right boxes because there are two sets of invitations. One set is for family and her a few of her closest friends who are to join us for dinner the others are for the rest of her friends who will be joining us afterwards for the party part. If use the postal system wasn’t so expensive I would have mailed all of the invitations for sure. Instead we were able to hand out most in person and only had to mail a few. I think there is something so fun about receiving invitations the old fashion way. Oh well, this was still a million times better than an email invite. Well this party is shaping up to be as wonderful as I was hoping to make it for Mekayla. 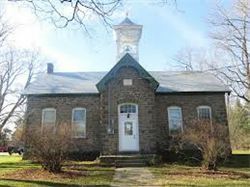 Stay tuned for the site visit. Good morning I have a question if do not mind me asking I am currently working on my daughter’s 15th birthday party (quinceanera in spanish) and I was looking at your invites I really love the box did that box come together with the invitation thru Shutterfly or did you purchase it from another place? 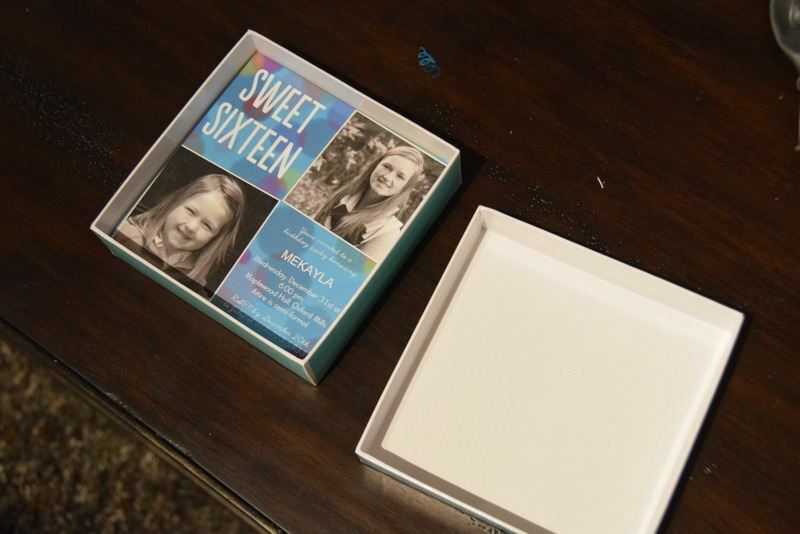 Would you be able to provide me with the size of the box if you do have that information because I am having custom made invites and want to see if they are able to make them to fit into this box. I would greatly appreciate it if you would so kindly let me know where you purchased these boxes I love them I have been looking for something similar but have not been able to. Hope to hear from you soon. Hi Alma. 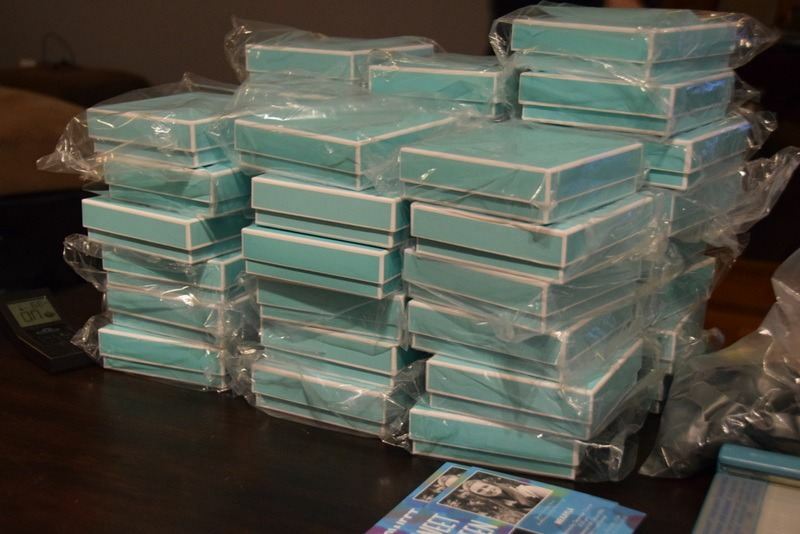 Those boxes were purchased at Pritchard Packaging and I believe they were approx 4.25×4.25. Hope that helps.